Star Wars Darth Maul (2017) Marvel - #2, 1:25 Variant CVR, Bunn/Ross! 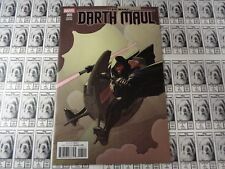 STAR WARS DARTH MAUL #1 - CBCS ( CGC ) 9.6 - ANIMATION VARIANT - 1/1 POP 1 !! This page was last updated: 23-Apr 03:43. Number of bids and bid amounts may be slightly out of date. See each listing for international shipping options and costs.